Is the root beer float the most underrated of all desserts? It quite likely it is. 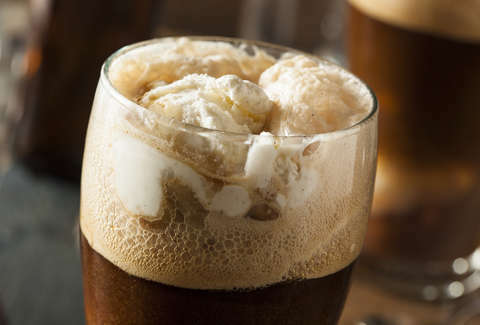 When you get a free one today, you'll have plenty of time to debate the finer points of that question, but it's definitely time to give the beverage its due: Monday, August 6, is National Root Beer Float Day. In honor of the harmonious marriage of root beer and ice cream, A&W is giving out free root beer floats from 2pm to 8pm (local time). There's no purchase necessary either. Just show up and reacquaint yourself with this rootiest and creamiest of dessert drinks. For free. And maybe eat some actual food, too, for balance. But it's not all frozen dairy and sudsy soda. A&W is also collecting donations for DAV (Disabled American Veterans), in part a tribute to A&W's debut at a parade honoring the return of World War I veterans back in 1919, in part just a really cool thing to do. So, get over to your nearest A&W, claim your root beer float and contribute to a great cause.